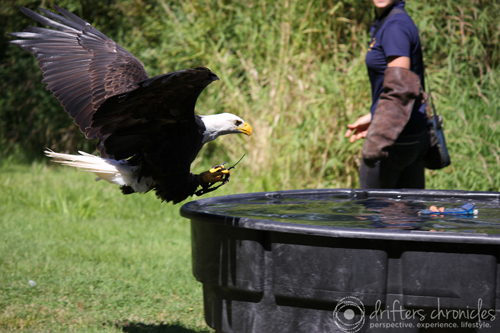 The Birds of the Pacific Northwest Raptor Show!!! About 50 minutes from Victoria, BC on Vancouver Island is the city of Duncan. 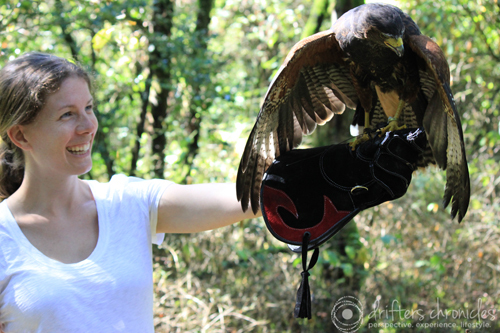 I had researched the Pacific Northwest Raptors a while back and knew that this was something that I wanted to see. I mean, who doesn’t want to see birds of prey!!! We were lucky that we went on a weekday in early September because I imagine it gets really busy in the summer. There were many exhibits around the site, but what I was really looking forward to was the bird show. I’ve never seen one and spend so much time watching nature shows, I was very excited. 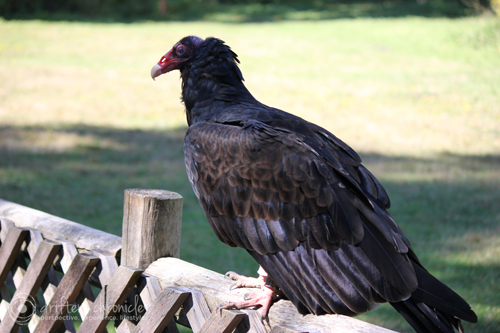 The Turkey Vulture (above) was nice to see. 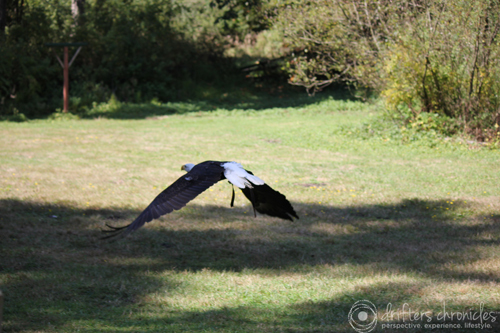 While not the most attractive bird, it also has a large wing span. 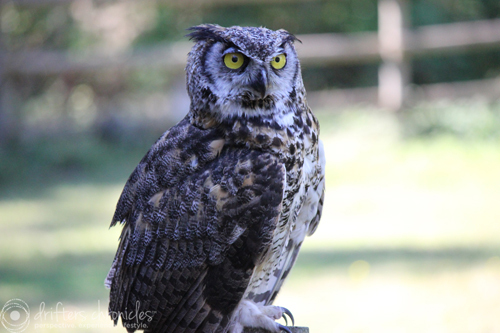 The owl was unique to see up close. I’m surprised I’ve never seen one camping. 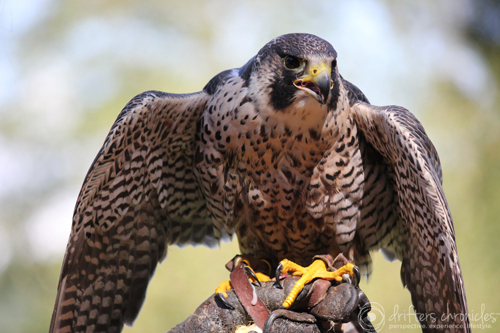 Perhaps my favourite of the bunch was the Peregrine Falcon. It was so incredibly fast and actually went hunting just in the distance. Then flew off for about 10 minutes. Our host had mentioned that some of the birds take bird vacations and sometimes leave for 2-3 days but end up coming back. 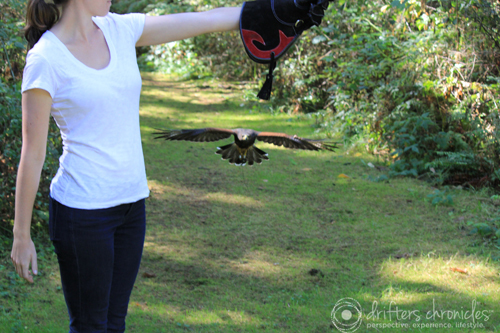 To demonstrate just how fast these birds fly, our host had a fake mouse on a string. The Peregrine Falcon flew in so fast and attacked it. It was amazing to watch. 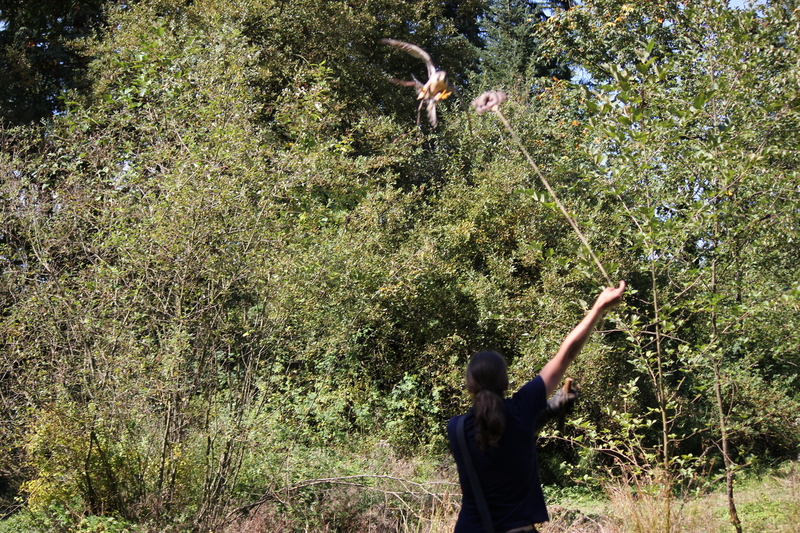 We had also purchased a hawk walk with one of the guides. 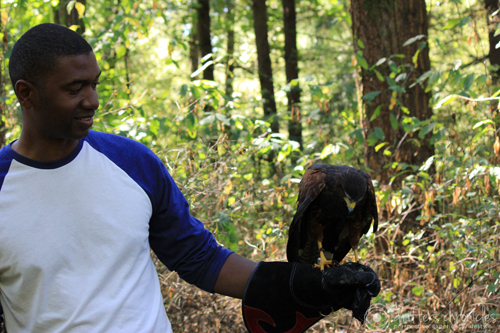 Charlene and I walked through the forest with the Hawk as it flew through the trees and periodically landed on our arms. I highly recommend doing this. It was an up close experience that I won’t soon forget. This entry was posted in British Columbia, Canada, Experience, His, Lifestyle, North America, Perspective, Photography, Uncategorized, Wildlife and tagged Bald Eagle, Birds, British Columbia, Nature, Photography, Travel, Vancouver island, Wildlife. Bookmark the permalink.